Setting up a Baidu PPC account is more complicated than on Google, Bing, or other PPC platforms. The main complexities are the necessary paperwork and the transferring of a pre-payment, especially for foreign companies who do not have a Chinese bank account. This blog post will walk you through the main steps of setting up a PPC account on Baidu. 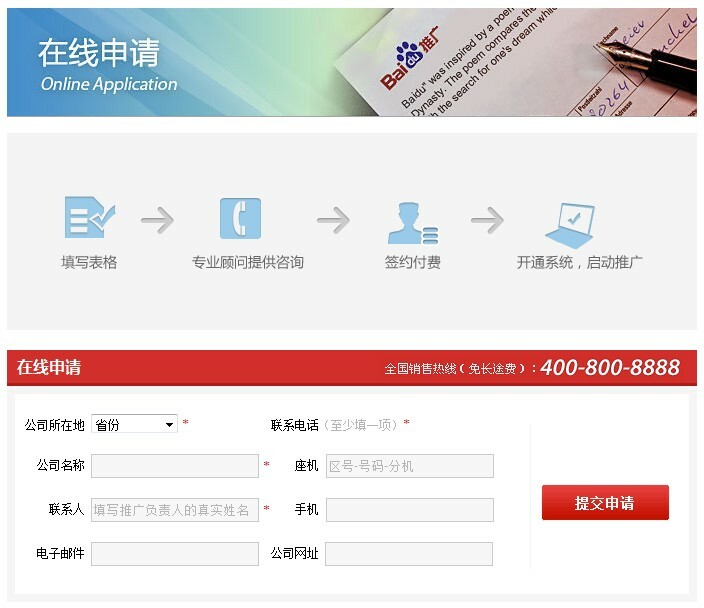 Before you proceed, check first: do you already have a Chinese website? If you are completely new to Baidu, register online at the Baidu PPC registration platform and send a request to set-up your account. If you already have an account manager from Baidu assigned to you, you can skip this step and contact her/him with your request. For further information, you may also refer to the Baidu Starter Guide, which is a very helpful resource. Google has been continuously losing its search share in China after they left the Chinese search market around two and a half years ago. 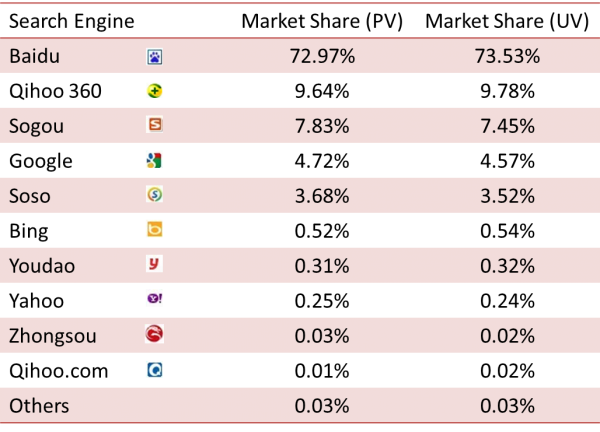 According to CNZZ, Alibaba Group’s third-party web analytics subsidiary, Google now ranks number 4 in China with 4.72 percent of search share in October, down from 5.08 percent the month before. The search newcomer Qihoo 360, which has just been launched this August, has quickly advanced to the second position, capturing 9.64 percent of the market. Baidu’s share has dropped from 75 percent in September to 72.97 percent in October.